We spent more than three hours today enjoying SE Portland with what seemed like half of Portland on the Sunday Parkways ride. 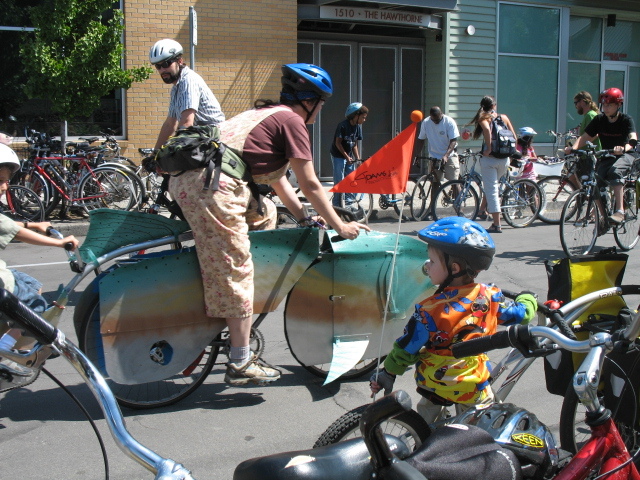 We consider ourselves to be a “cycling family”, but we could not believe how many people were out on bikes. These weren’t just the daily commuters, but everyday people on every type of bike. It was great to see a sea of cyclists in every direction. I rode my bike and Rob rode his bike with Henrik on the trail a bike. The route also encircled the Hawthorne Street Fair. We enjoyed a circus demonstration from Do Jump! and they offered up some of their props for the kids to experience. Henrik had fun with one of their streamers. I picked up a copy of the newly released paperback version of The Body Toxic by Nena Baker on sale at Powell’s on Hawthorne (I checked out a copy of the hardback edition from the library last year and it has been on my book wish list ever since). Powell’s will be hosting a reading by Nena Baker on 08.20.09. I plan on attending and writing about the event next week. Penny’s Puppet Productions put on a great puppet show in the middle of the blocked off street next to Kids at Heart Toys. We snacked on crepes to go from Chez Machin while Henrik grinned from ear to ear. 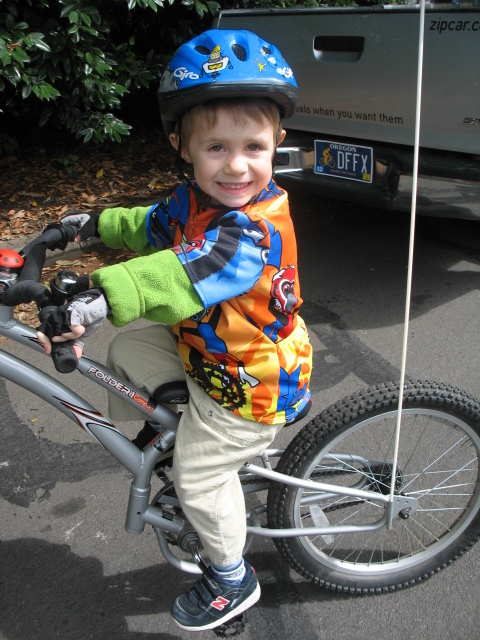 We rode just under three miles from our house to join the five mile Sunday Parkways loop and then back home again. The sun burned through the overcast morning and put smiles on everyone’s faces. 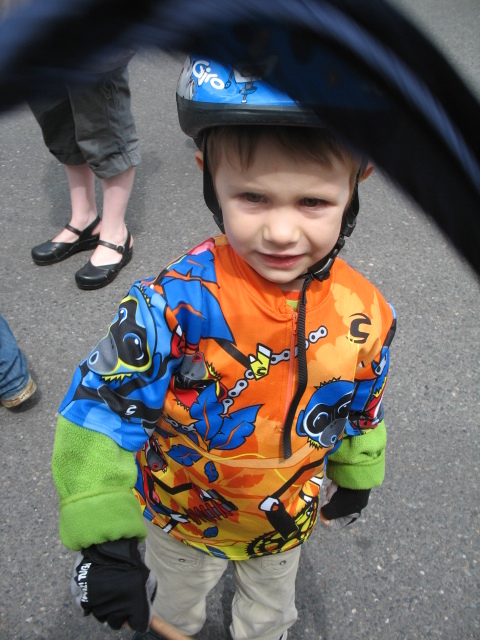 This entry was posted in Bike, Family, Food, Local, Ride Together. Bookmark the permalink.